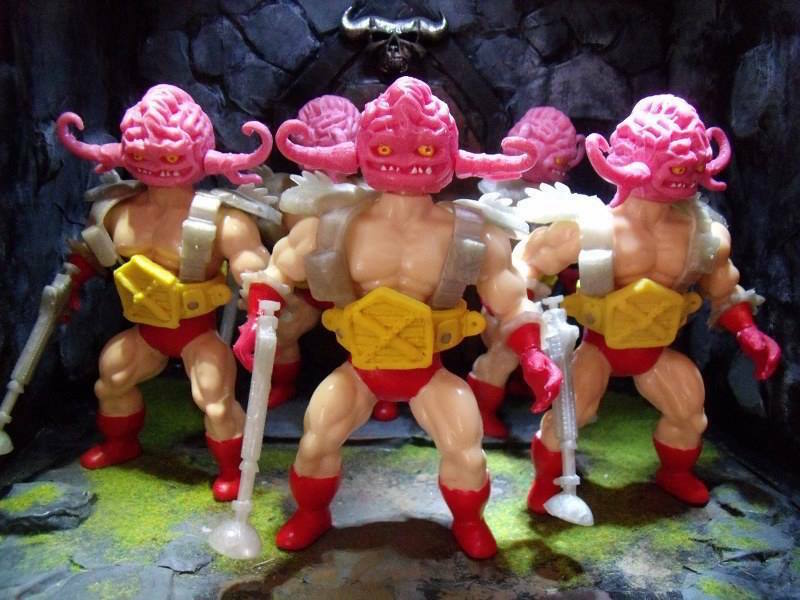 UPDATE// The “Skullworld Warriors” are now up for grabs via preorder through the Toy Underground store right here! Standing at 10.5″ tall and featuring 8 points of articulation each, the stunning figures are initially available as a complete set ahead of “single” releases early next year. Limited to 30 painted sets and just 20 blank, these can be yours for just $450 and $390 respectively… Look out for details of the single releases in Q1 2016! 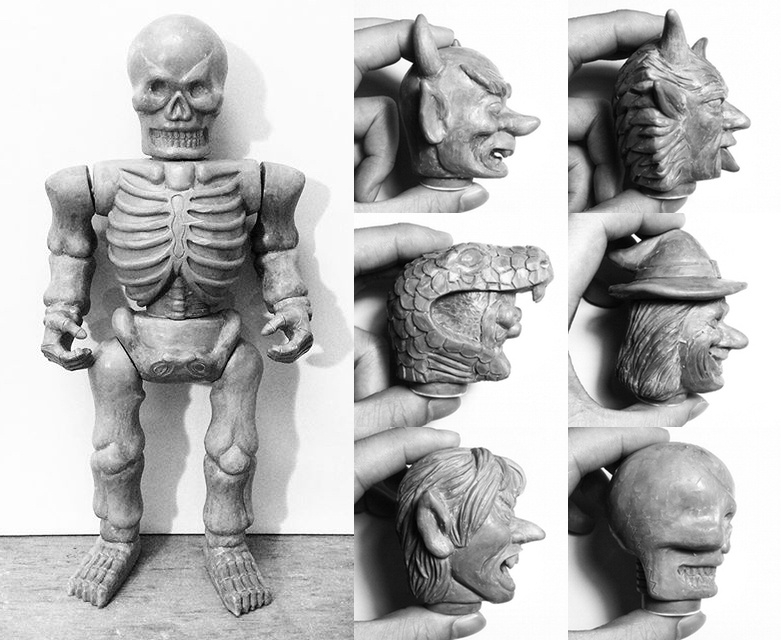 Treegar// Bigmantoys’s highly underrated 5.5″ is back, this time around coming with all-new re-tooled joints! 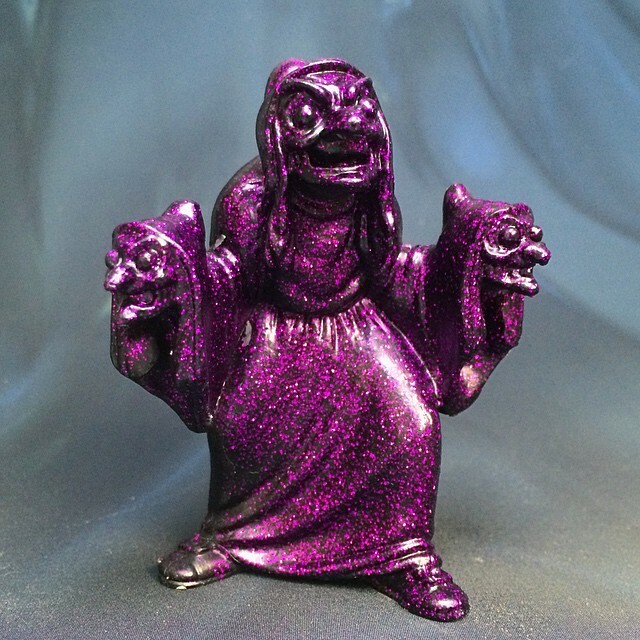 Available in 2 different colorways limited to just 3 a piece – “Bloodbound” cast in a clear resin with a red gloss paint app, and “Totally toxic”, in a neon green resin with purple accents, black washes, and Treegarr’s classic glowing yellow eyes – both have been priced at $75 each plus shipping. 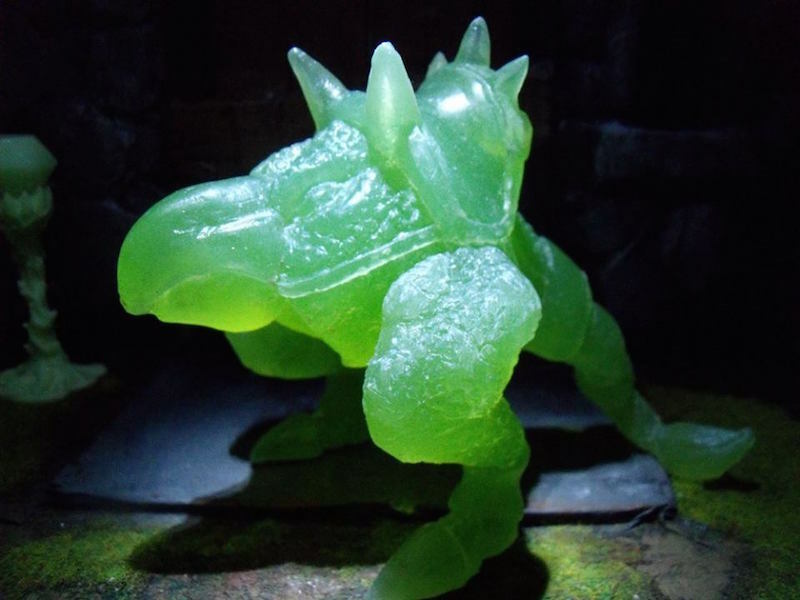 Chicken Leg// The Golden-Axe inspired figure is back with it’s first alternative colorway, Slime Green! 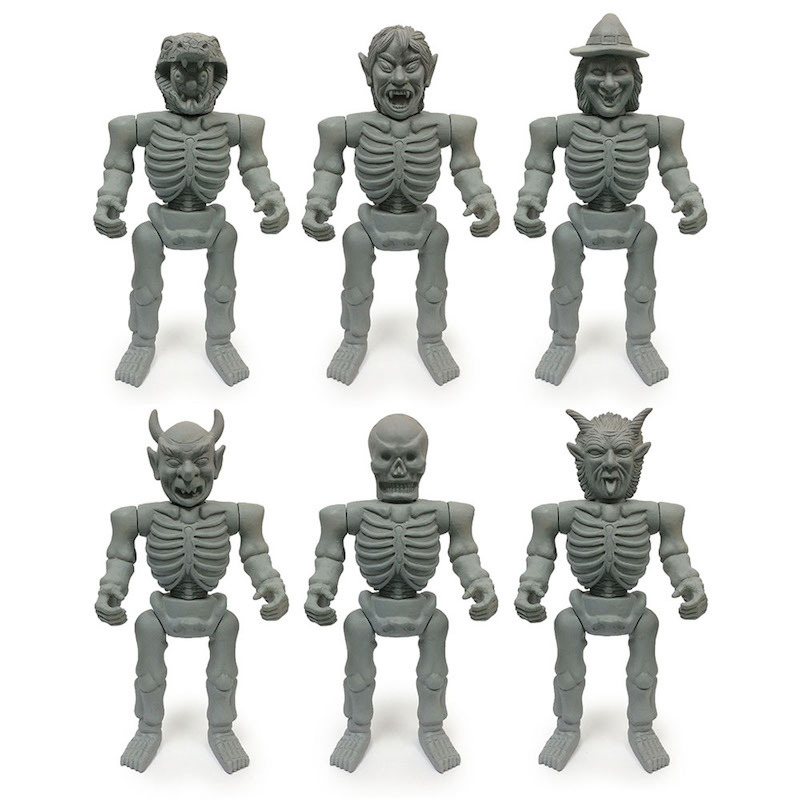 Again, limited to just 3 pieces, the mount – perfect displayed on it’s own or with a 5.5″ scaled figure riding on the back – has been produced in an unpainted clear green resin this time around, coming in at just $55 a piece. Moribund// Back by popular demand after the first sellout release last year, the officially Samhain-endorsed Moribund sees it’s third colorway, neon Punk Pink! 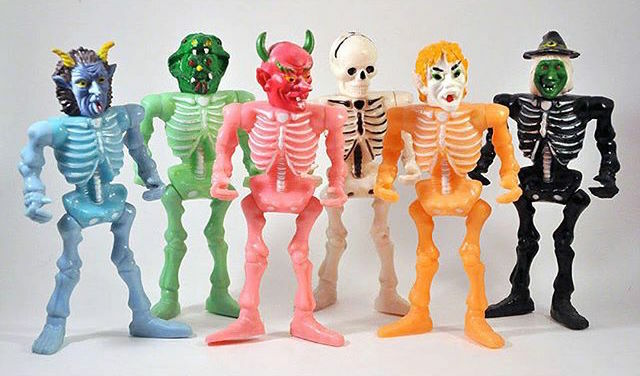 Once again limited to just 3 pieces, the custom bootleg Skeleton Warrior can be yours for just $60. It’s been a while since we last featured one of ManOrMonster? 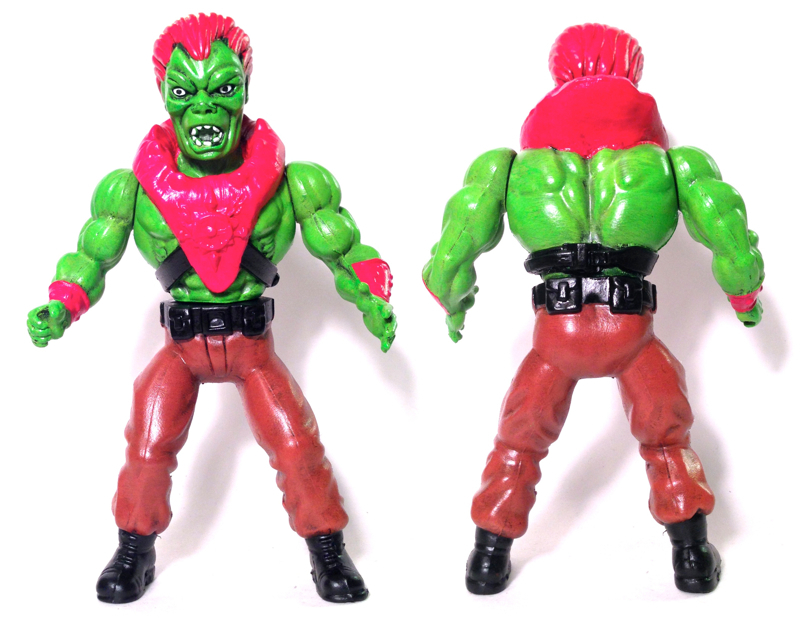 Studios‘ One-Off Wednesday releases, largely due to them selling out before we can get a post up, but this week’s was simply just too good to ignore… the awesome “Beast” Back Alley Brawler! 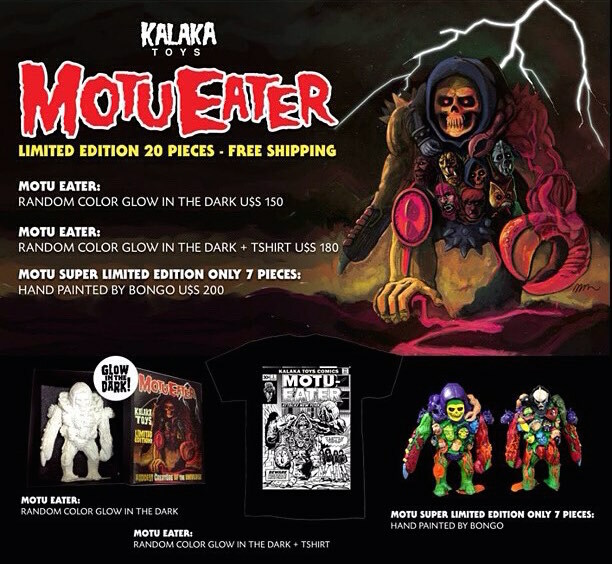 An ingenious homage to Street Fighter’s green skinned mutant Blanka – more accurately, his 3.75″ GI Joe action figure interpretation – the one-off custom piece has been kit-bashed and re-sculpted from a variety of different vintage toys including Thundercats’ Mumm Ra and MOTU’s Hordak. Standing at around 5.75″ tall and featuring 4 points of WoW compatible articulation, the hand painted figure comes bagged with a custom header card for just $75 plus shipping. Check him out in the MoM? store right here before he inevitably makes a quick exit!